Elmark offers solutions for all of your case, carton and pallet marking coding and identification needs. From introductory, low cost products to large character options from Squid to print & apply label printer applicators, Elmark has a solution to meet your needs. Our products have a proven track record of reliable performance with low operating costs. 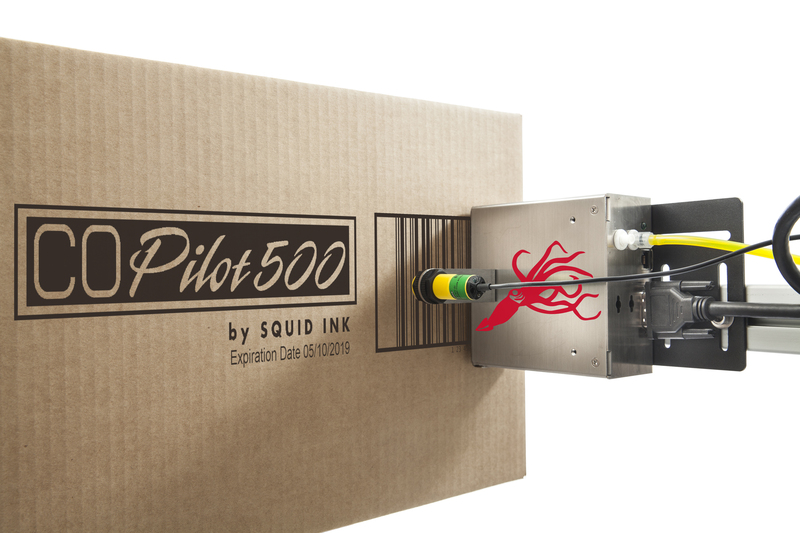 Elmark is proud to be a Mid-Atlantic/Northeast distributor for Squid Ink, which specializes in the manufacture of industrial inkjet printers and high quality industrial inkjet inks for the packaging industry. Squid Ink products are designed to provide reliable cost-effective solutions to various industrial applications. The company has relied on a wealth of knowledge and experience in the inkjet industry to design a full family of Large Character and Hi-Resolution printing systems. Additionally, Squid Ink has been able to formulate the most comprehensive line of Hi-Resolution, Piezo, and Large Character fluids in the product identification market today.